The personalised bar and birthstone bracelet set includes two seperate bracelets that we've combined to complement eachother. Engrave a name or date on the delicate curved bar and add your choice of Swarovski Crystal Birthstone Charm to a separate chain. Here we've combined the ideal bracelet set so you don't have to. A delicate curved bar that can be engraved with up to 22 characters makes up the centre piece. 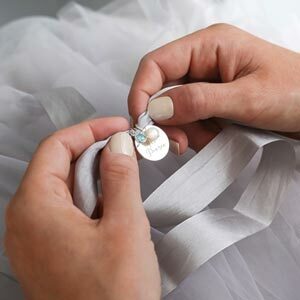 You can choose either silver or rose gold and add a meaningful date or the name of someone special before taking your pick of our Swarovski Crystal Birthstone Charms. 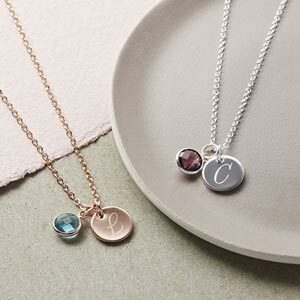 We'll then add the Birthstone Charm to its own chain to match your colour choice and you'll have a gorgeous personalised gift worthy of celebrating any occasion. Todella kaunis <3 Käytän joka päivä! Love the presentation boxes and the bracelets! Absolutely stunning. Amazing quality Thank you for the 5 star review! Excellent service. And braclet was good value . Beautiful gift for my daughters birthday Thank you for the lovely review, we really value your feedback! Beautiful product and lovley design We appreciate your lovely feedback! Gorgous and elegant design! Got this for my friends 21st and she loves it! 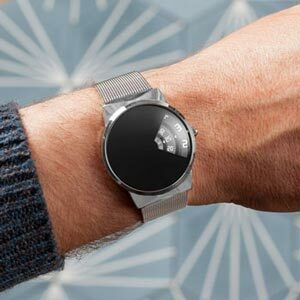 Bracelet is estetically beautiful. Only small negative was bracelet adult size was big on her and for my self. Maybe child size would have fit better? A must buy - bought this for my mother,she loved it. The delivery was quick and the product itself was beautiful. Thank you. Perfect. It was just what your wanted to dignify the bond between me and my sisters. Lovely piece of jewellery. Well made and expertly put together. Thank you.